Tyron Woodley is now in recovery after undergoing surgery to repair damage to his hand following his most recent win over Darren Till at UFC 228. 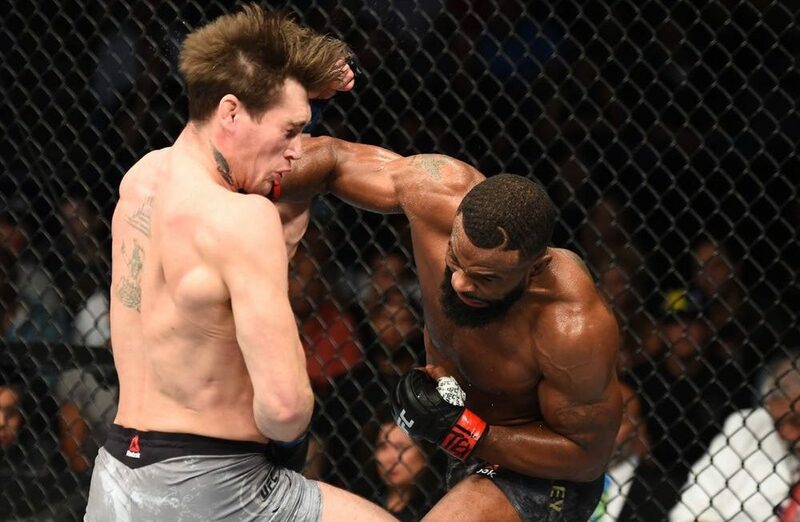 Woodley won the fight in the second round with a D’arce choke but that came after he bludgeoned the Brit with a heavy barrage of elbows and punches that ended with the welterweight champion suffering an injury to his thumb and wrist. “The CMC joint, I dislocated my thumb in the fight,” Woodley explained when speaking on TMZ. “I did it in the first round and then I actually tore ligaments. At the end of the first round I actually punched and it hit the back of his head. The second round, I started elbowing and punching and then I got on top and the coach was like ‘hook punch him, hook punch him’ so I started doing what we call the hook punch and my hand started hurting. Woodley admits that he’s still in a tremendous amount of pain following the surgery but the good news is that the injury ultimately won’t keep him out of action all that long. While he originally thought he might be sidelined for the better part of three to four months, the aftermath of the surgery was a much more optimistic outlook on his return to the UFC. Woodley doesn’t know for certain who he’ll be facing when he returns but it’s likely a showdown with former interim champion Colby Covington. UFC president Dana White has previously stated Woodley vs. Covington was the next fight to make in the welterweight division once the champion is healthy and ready to compete again.